A Viet Cong guerrilla stands guard in the Mekong Delta. Her name is Lam Thi Dep (Dep means beautiful in Vietnamese), the picture was taken in 1972 at Soc Trang Province by Vietnamese journalist Minh Truong. “You could find women like her almost everywhere during the war”, said the photographer. “She was only 24 years old but had been widowed twice. Both her husbands were soldiers”. She’s wielding a M-16, the standard issue American soldier’s rifle. Usually this type of photos were taken for propaganda purposes. 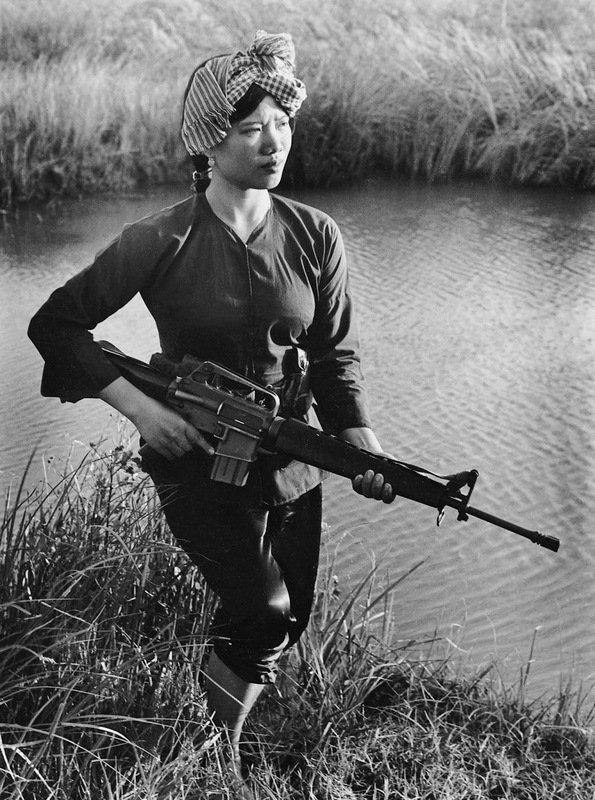 North Vietnamese women were deeply involved at all levels of the military campaign throughout the war, especially at the business end, fighting against the American-led forces in the jungle. North Vietnamese women were enlisted and fought in the combat zone as well as provided manual labor to keep the Ho Chi Minh trail open, cook for the troops, and some served as “comfort women” for male communist fighters. They also worked in the rice fields in North Vietnam and Viet Cong-held farming areas in South Vietnam’s Mekong Delta region to provide food for their families and the war effort. Women were enlisted in both the North Vietnamese Army and the Viet Cong guerrilla insurgent force in South Vietnam. Why she’s carrying an American rifle? The Viet Cong forces were very successful at acquiring and using American made arms, which led directly to most of their big successes in the early to mid-60s. 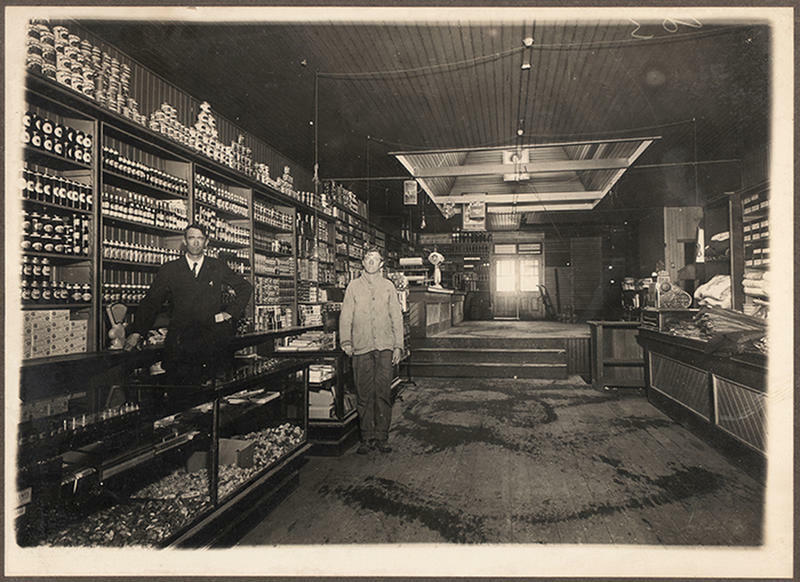 The weapons weren’t necessarily from dead American soldiers. Remember, the US was propping up Diem’s South Vietnamese government, and pumping weapons into his ally extremely flawed and corrupt army. South Vietnamese local garrisons meant to protect rural areas from Viet Cong influence often simply gave arms and ammunition to the local Viet Congs to avoid being slaughtered. M-16s had a 30% failure rate in most of the battles. The vast majority of the early failures were due to inadequate or even no care/cleaning of the rifles (in most cases they were issued without cleaning kits). Most American soldiers that went into service with the M-16 where given virtually no training on how to care for the weapon, they assumed it would need the same amount of cleaning as the M-14, and M1-garand designs. Once cleaning kits were dispensed and troops were trained how frequent to clean the weapon, failure rates on the M16 drastically went down. Still they were high for a service weapon.